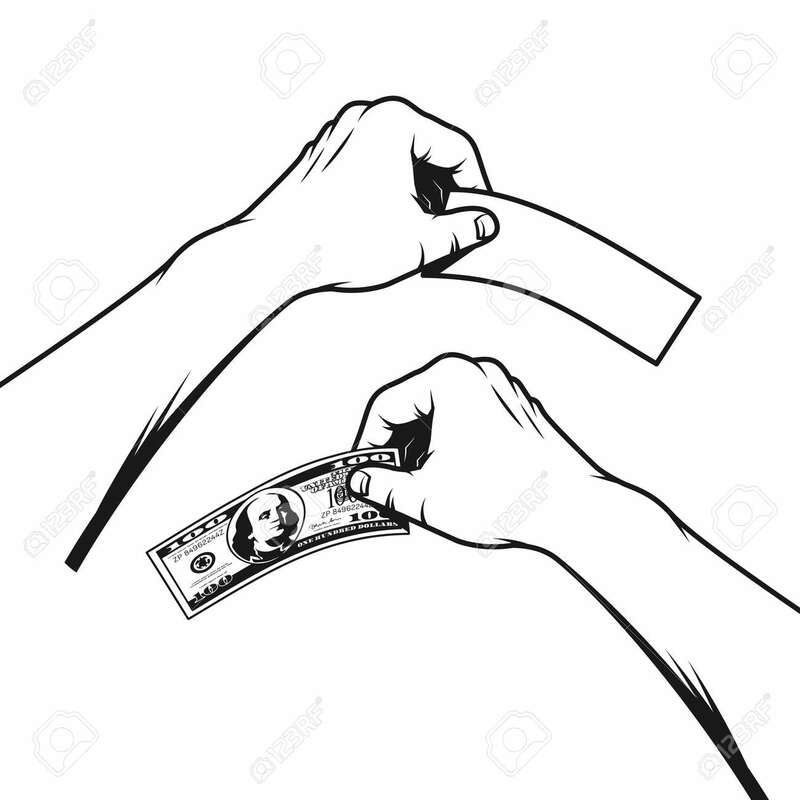 The Hand Holds A Hundred Dollar Banknote And An Empty Flyer... Royalty Free Cliparts, Vectors, And Stock Illustration. Image 107766731. Vector - The hand holds a hundred dollar banknote and an empty flyer. Black-and-white illustration in stamp style. The hand holds a hundred dollar banknote and an empty flyer. Black-and-white illustration in stamp style.